7h45: Bus and tour guide pick you up at your hotel. 10h30: Have short break at Humanity center and enjoy local specialities. 12h00: Arrive in Halong then takes a tender to Amigo cruise. Have lunch on board. 13h30: A fantastic cruise in Halong bay, pass through Dinh Huong islet, Ga Choi islet, Dog islet, Sail island, then visit Sung Sot cave and swim at Soi Sim beach or Titov beach. 17h30: Kayaking then relax and enjoy sunset. 21h00: Squid fishing or relax and chatting with your partner, friends, family… Overnight on Halong bay aboard Amigo Cruise. AM :have breakfast with tea, coffee and cake. Transfer by the “Day Boat” and begin to cruise to some of Halong Bay’s most untouched locals Van Gia fishing village, short trek or biking around. Then have lunch on “Day Boat”. PM: Visit Monkey Island and swimming. Then go to Cat Ba Island and check in hotel. 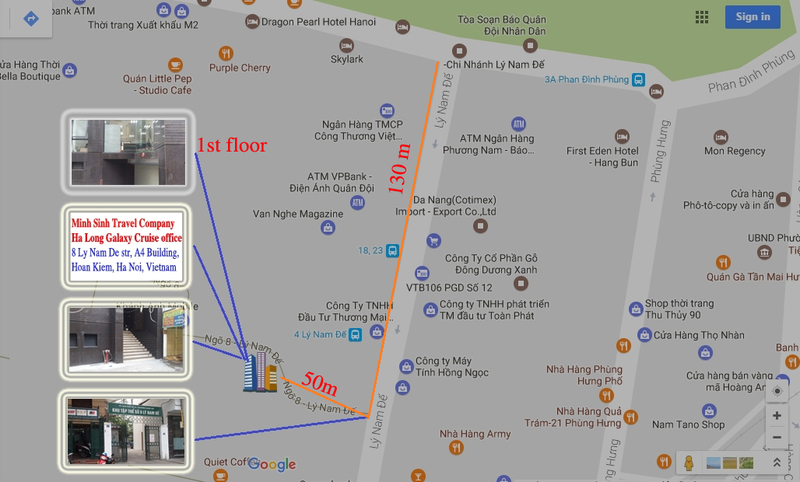 18h00: Have dinner in the hotel and free time to explore Cat Ba town in the evening. Overnight in Cat Ba Island. 7h30: Breakfast at the hotel. 8h00: Bus takes you to Cai Beo Habor, get on “Day Boat” back to Amigo Cruise. You can see Human’ head islet, Turtoise islet, Bai Tu Long Bay. Stop for an hour for breath-taking swimming. 11h30: Arrive in Ha Long Harbor and enjoy lunch in a restaurant in Halong City. 16h30: Arrive in Hanoi. Tour ends at your hotel. Inclusive Transport, boat trip, bicycle, English speaking guide, meals, entrance fees, kayaking.